Forty years ago it seemed that women were about to take their rightful place in the world, in parliament, in the church, in the judiciary, in the workplace but when you open my newspaper you find that news is still made by men in suits. The female most likely to be seen in the sports pages will be a horse. Women are disappearing too because flesh is not allowed. As soon as girls accept the size, role and shape of adult women, they begin to disappear. 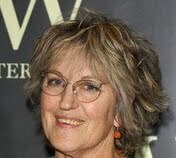 Germaine Greer attempts to explain this state of affairs and to suggest some strategies for change. This event gives the audience the unique chance to ask all those burning questions they have been longing to throw at the Prof .........serious or lighthearted. Expect this unique close encounter with the Prof to be candid, enlightening, and highly entertaining.